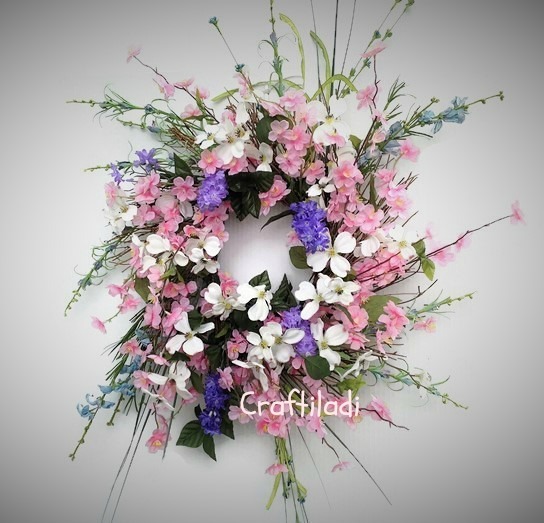 Linda of CrafiLadi.com, handcrafted this beautiful, springtime pink and white dogwood wreath with splashes of purple. This would brighten up anyone’s space. While it has several symbolic meanings, today we focus on the dogwood’s symbolism of strength and resilience. Take a deep breath. Dig in. Keep on, keeping on.